Leinster will provide five teams for the All-Ireland schools competition this year which will be hosted by Villiers in Limerick on October 24-26. 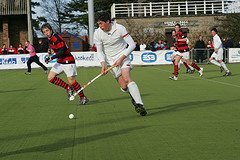 Perennial title hopefuls St Andrews and Wesley both gained automatic qualification for the tournament while the other two places will come from a pair of playoff matches – Sutton Park will play King’s Hospital while last year’s cup finalists High School will play Kilkenny. The two losing sides will subsequently play off against each other to decide the final place with all three fixtures set for September 17 in Grange Road, to be played back-to-back. The tournament itself will see four Munster sides involved and seven from Ulster. On the domestic scene, Leinster will hold a development league and cup this year in an effort to increase the base of schools playing and to bring some of those who have fallen back in recent years back into the fold. Last year, Skerries and St Mark’s both fielded teams after a few years absence in a tournament of this kind, won by Drogheda Grammar in which Sandford Park also took part. Elsewhere, there will be Junior A tournaments this year to try to get the up-and-coming schools like Mount Temple, St Columba’s, High School, Dundalk and Kilkenny back to A league hockey. Last season, Kilkenny managed to reach the junior cup final without having played a league match and pushed a star-studded Wesley side all the way and it is hoped this can act as a catalyst. In another new initiative, the Leinster schools committee, headed by Ronan Walsh, is currently working with Lucas Piccioli to appoint temporary coaches for struggling schools.